Today, UX research has earned wide recognition as an essential part of product and service design. However, UX professionals still seem to be facing two big problems when it comes to UX research: A lack of engagement from the team and stakeholders as well as the pressure to constantly reduce the time for research. In this article, I’ll take a closer look at each of these challenges and propose a new approach known as ‘FAST UX’ in order to solve them. This is a simple but powerful tool that you can use to speed up UX research and turn stakeholders into active champions of the process. Contrary to what you might think, speeding up the research process (in both the short and long term) requires effective collaboration, rather than you going away and soldiering on by yourself. The acronym FAST (Focus, Attend, Summarise, Translate) wraps up a number of techniques and ideas that make the UX process more transparent, fun, and collaborative. I also describe a 5-day project with a central UK government department that shows you how the model can be put into practice. 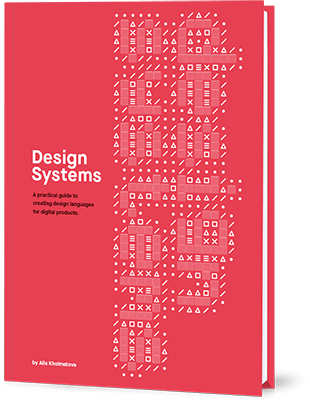 The article is relevant for UX professionals and the people who work with them, including product owners, engineers, business analysts, scrum masters, marketing and sales professionals. As UX researchers, we need to ensure that “everyone in our team understands the end users with the same empathy, accuracy and depth as we do.” It has been shown that there is no better alternative to increasing empathy than involving stakeholders to actually experience the whole process themselves: from the design of the study (objectives, research questions), to recruitment, set up, fieldwork, analysis and the final presentation. Research is somebody else’s job. In my experience, UX professionals are often hired to “do the UX” for a company or organization. 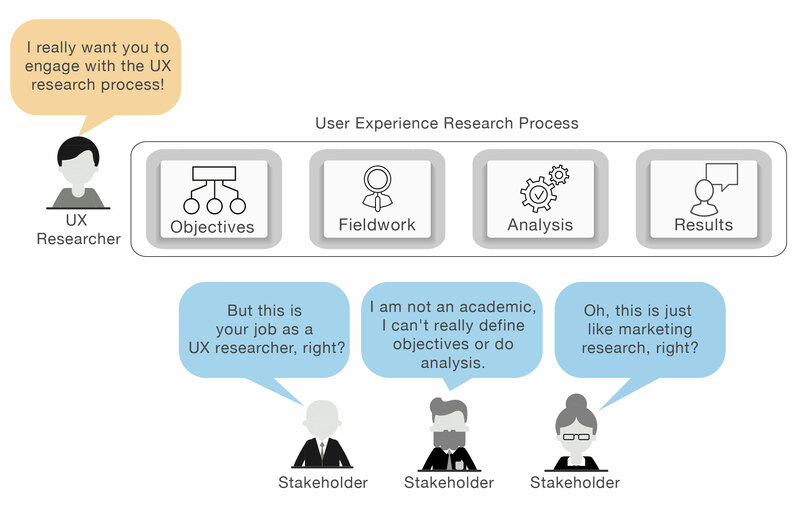 Even though the title of “Lead UX Researcher” sounds great and very important in my head, it often leads to misconceptions during kick-off meetings. Everyone automatically assumes that research is solely MY responsibility. It’s no wonder that stakeholders don’t want to get involved in the project. They assume research is my and nobody else’s job. UX process frameworks are incomplete. The problem is that even when stakeholders want to engage and participate in UX, they still do not know *how* they should get involved and *what* they should do. We spend a lot of time selling a UX process and research frameworks that are useful but ultimately incomplete — they do not explain how non-researchers can get involved in the research process. Fig. 1. Despite our enthusiasm as researchers, stakeholders often don’t understand how to get involved with the research process. Further, a lot of stakeholders can find words such as ‘design,’ ‘analysis’ or ‘fieldwork’ intimidating or irrelevant to what they do. In fact, “UX is rife with jargon that can be off-putting to people from other fields.” In some situations, terms are familiar but mean something completely different, e.g., research in UX versus marketing research. Another issue is that there is a constantly growing pressure to speed up the UX process and reduce the time spent on research. I cannot count the number of times when a project manager asked me to shorten a study even further by skipping the analysis stage or the kick-off sessions. While previously you could spend weeks on research, a 5-day research cycle is increasingly becoming the norm. In fact, the book Sprint describes how research can dwindle to just a day (from an overall 5-day cycle). Considering this, there is a LOT of pressure on UX researchers to deliver fast, without compromising the quality of the study. The difficulty increases when there are multiple stakeholders, each with their own opinions, demands, views, assumptions, and priorities. Contrary to what you might think, reducing the time it takes to do UX research does not mean that you need to soldier on by yourself. I have done this and it only works in the short term. It does not matter how amazing the findings are — there is not enough PowerPoint slides in the world to convince a team of the urgency to take action if they have not been on the research journey themselves. In the long term, the more actively engaged your team and stakeholders are in the research, the more empowered they will feel and the more willing they will be to take action. Productive collaboration also means that you can move together at a quicker pace and speed up the whole research process. The FAST UX Research framework (see Fig. 2 below) is a tool to truly engage team members and stakeholders in a way that turns them into active advocates and champions of the research process. It shows non-researchers when and how they should get involved in UX Research. In essence, stakeholders take ownership of each of the UX research stages by carrying out the four activities, each corresponding to its research stage. Working together reduces the time it takes for UX Research. The true benefit of the approach, however, is that, in the long term, it takes less and less time for the business to take action based on research findings as people become true advocates of user-centricity and the research process. This approach can be applied to any qualitative research method and with any team. For example, you can carry out FAST usability testing, FAST interviews, FAST ethnography, and so on. In order to be effective, you will need to explain this approach to your stakeholders from the start. Talk them through the framework, explaining each stage. Emphasize that this is what EVERYONE does, that it’s their work as much as the UX researcher’s job, and that it’s only successful if everyone is involved throughout the process. There is a uniform consensus within UX that a research project should start by defining its purpose: why is this research done and how will the results be acted upon? Fig. 3. Focus is about defining clear objectives and goals for the research and it’s ultimately the team’s and all stakeholders’ shared responsibility to do this. Generally, this is expressed within the research goals, objectives, research questions and/or hypotheses. Most projects start with a kick-off meeting where those are either discussed (based on an available brief) or are defined during the meeting. The most regular problem with kick-off sessions like these is that stakeholders come up with too many things they want to learn from a study. The way to turn the situation around is to assign a specific task to your immediate team (other UX professionals you work with) and stakeholders (key decision makers): they will help focus the study from the beginning. Identify as a group the current challenges and problems. Ask someone to take notes on a shared document; alternatively, ask everyone to participate and write on sticky notes which are then displayed on a “project wall” for everyone to see. Identify the potential objectives and questions for a research study. Do this the same way you did the previous step. You don’t need to commit to anything yet. Ask the team to order the objectives and questions, starting with the most important ones. Look at the top 3 questions and objectives. Are they too broad or narrow? Could they be reworded so it’s clearer what is the focus of the study? Are they feasible? Do you need to split or merge objectives and questions? Agree on the top 1-2 objectives and ensure that you have agreement from everyone that this is what you will focus on. From the objectives we have recognized, what is most important? If we only learn one thing, which one would be the most important one? Design the study (including selecting a methodology) after the focus has been identified. At first sight, the Focus and Attend (next stages) activities might be familiar as you are already carrying out a kick-off meeting and inviting stakeholders to attend research sessions. However, adopting a FAST approach means that your stakeholders have as much ownership as you do during the research process because work is shared and co-owned. Reiterate that the process is collaborative and at the end of the session, emphasize that agreeing on clear research objectives is not easy. Remind everybody that having a shared focus is already better than what many teams start with. Finally, remind the team and your stakeholders what they need to do during the rest of the process. Seeing first hand the experience of someone using a product or service is so rich that there is no substitute for it. This is why getting stakeholders to observe user research is still considered one of the best and most powerful ways to engage the team. Fig. 4. Attend in FAST UX Research is about encouraging the team and stakeholders to be present at all research sessions, but also to be actively engaged with the research. What often happens is that observers join in on the day of the research study and then they spend the time plastered to their laptops and mobile phones. What is worse, some stakeholders often talk to the note-taker and distract the rest of the design team who need to observe the sessions. Summarize observations for everyone (see next stage). Assign one person per session for each of these activities. Have one “live chat manager,” one “note-taker,” and one “observer” who will sum up the session afterwards. Rotate people for the next session. Before the session, it’s useful to walk observers through the ‘ground rules’ very briefly. You can have a poster similar to the one GDS developed that will help you do this and remind the team of their role during the study (see Fig. 3 above). Fig. 5. A poster can be hanged in the observation room and used to remind the team and stakeholders what their responsibilities are and the ground rules during observation. Farrell (2017) provides more detail on effective ways for stakeholders to take notes together. When you have multiple stakeholders and it’s not feasible for them to physically attend a field visit (e.g. on the street, in an office, at the home of the participant), you could stream the session to an observation room. I am a strong supporter of the idea that analysis starts the moment fieldwork begins. During the very first research session, you start looking for patterns and interpretation of what the data you have means. Fig. 6. Summarize in FAST UX Research is about asking the team and your stakeholders to tell you about what they thought were the most interesting aspects of user research. Even after the first session (but typically towards the end of fieldwork) you can carry out collaborative analysis: a fun and productive way that ensures that you have everyone participating in one of the most important stages of research. The collaborative analysis session is an activity where you provide an opportunity for everyone to be heard and create a shared understanding of the research. Since you’re including other experts’ perspectives, you’re increasing the chances to identify more objective and relevant insights, and also for stakeholders to act upon the results of the study. Even though ‘analysis’ is an essential part of any research project, a lot of stakeholders get scared by the word. The activity sounds very academic and complex. This is why at the end of each research session, research day, or the study as a whole, the role of your stakeholders and immediate team is to summarize their observations. Summarizing may sound superfluous but is an important part of the analysis stage; this is essentially what we do during “Downloading” sessions. Their interpretation of the event. 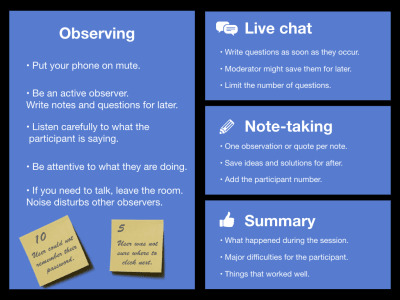 You do this by reminding everyone at the beginning of the session that at the end you will enter the room and ask them to summarize their observations and recommendations. What were their key observations (see also Fig. 3)? What happened during the session? Were there any major difficulties for the participant? What were the things that worked well? Was there anything that surprised them? This will make the team more attentive during the session, as they know that they will need to sum it up at the end. It will also help them to internalize the observations (and later, transition more easily to findings). This is also the time to consistently share with your team what you think stands out from the study so far. Avoid the temptation to do a ‘big reveal’ at the end. It’s better if outcomes are told to stakeholders many times. On multiple occasions, research has given me great outcomes. Instead of sharing them regularly, I keep them to myself until the final report. It doesn’t work well. A big reveal at the end leads to bewildered stakeholders who often cannot jump from observations to insights as quickly. As a result, there is either stubborn pushback or indifferent shrugs. A summary of the event or the day can then naturally transition into a collaborative analysis session. Your job is to moderate the session. The job of your stakeholders is to summarize the events of the day and the final results. Ask a volunteer to talk the group through what happened during the day. Other stakeholders can then add to these observations. After the analysis is done, ask one or two stakeholders to summarize the study. Make sure they cover why we did research, what happened during the study and what are the primary findings. They can also do this by walking through the project wall (if you have one). It’s very difficult not to talk about your research and leave someone else to do it. But it’s worth it. No matter how much you’re itching to do this yourself — don’t! It’s a great opportunity for people to internalize research and become comfortable with the process. This is one of the key moments to turn stakeholders into active advocates of user research. At the end of this stage, you should have 5-7 findings that capture the study. Even when you agree with the findings, stakeholders might still disagree about what the research means or lack commitment to take further action. This is why after summarizing, ask your stakeholders to work with you and identify the “Now what?” or what it all means for the organization, product, service, team and/or individually for each one of them. Fig. 7. Translate in FAST UX Research is about asking the team or individual stakeholders to discuss each of the findings and articulate how it will impact the business, the service, and product or their work. Traditionally, it was the UX researchers’ job to write clear, precise, descriptive findings, and actionable recommendations. However, if the team and stakeholders are not part of identifying actionable recommendations, they might be resistant towards change in future. Help solve problems or identify potential solutions. Stakeholders and the team can translate the findings at the end of a collaborative analysis session. Briefly talk through the 5-7 main findings from the study (as a refresher if this stage is done separately from the analysis session or with other stakeholders). Split the group into teams and ask them to work on one finding/problem at a time. Ask them to list as many ways they see the finding affecting them. Ask one person from each group to present the findings back to the team. Ask one/two final stakeholders to summarize the whole study, together with the methods, findings, and recommendations. Later, you can have multiple similar workshops; this is how you get to engage different departments from the organization. An excellent example of a FAST UX Research approach in practice is a project I was hired to carry out for a central UK government department. The ultimate goal of the project was to identify user requirements for a very complex internal system. There was no time to get to know the department or the client. Usually, I would have at least a week or two to get to know the client, their needs, opinions, internal pressures, and challenges. For this project, I had to start work on Monday with a team I had never met; in a building I had never worked, in a domain I knew little about, and finish on Friday the same week. The system was very complex and required intense research. 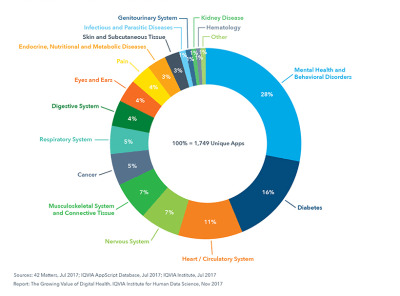 The internal system and the nature of work were very complex; this required gathering data with at least a few research methods (for triangulation). This was the first time the team had worked with a UX Researcher. The stakeholders were primarily IT specialists. However, I was lucky that they were very keen and enthusiastic to be involved in the project and get their hands dirty. As is the case on many other projects, all stakeholders were extremely busy as they had their own work on top of the project. Nonetheless, we made it work, even if it meant meeting over lunch, or for a 15-minute wrap up before we went home. There were internal pressures and challenges. As with any department and huge organization, there were a number of internal pressures and challenges. Some of them I expected (e.g. legacy systems, slow pace of change) but some I had no clue about when I started. We had to coordinate work with external teams. An additional challenge was the need to work with and coordinate efforts with external teams at another UK department. Despite all of these challenges, this was one of the most enjoyable projects I have worked on because of the tight collaboration initiated by the FAST approach. 1 day for analysis and results reporting. In the process, I gathered data from 20+ employees, had 16+ hours of observations, 300+ photos and about 100 pages of notes. Here is a great example of cramming in 3 weeks’ worth of work into a mere 5-day research cycle. More importantly, people in the department were really excited about the process. At the beginning of the project, the two key stakeholders identified what the focus of research would be while my role was mainly to help with prioritizing the objectives, tweak the research questions and check for feasibility. In this sense, I listened and mainly asked questions, interjecting occasionally with examples from previous projects or options that helped to adjust our approach. While I wrote the main discussion guide for the contextual inquiries and shadowing sessions, we sat together with the primary team to discuss and design the co-creation workshop with internal users of the system. During the workshop one of the stakeholders moderated half of the session, while the other took notes and observed closely the participants. It was a huge success internally, as stakeholders felt there was better visibility for their efforts to modernize the department, while employees felt listened to and involved in the research. Immediately after the workshop, we sat together with the stakeholders for a 30-minute meeting where I had them summarize their observations. As a result of the shadowing, contextual inquiries and co-creation workshop, we were able to identify 60+ issues and problems with the internal system (with regards to integration, functionality, and usability), all captured in six high-level findings. Later, we discussed with the team how each of the six major findings translated to a change or implication for the department, the internal system, as well as collaboration with other departments. We were so perfectly aligned with the team that when we had to talk about our work in front of another UK government department, I could let the stakeholders talk about the process and our progress. My final task (over two additional days) was to document all of the findings in a research report. This was necessary as a knowledge repository because I had to move onto other projects. With a more traditional approach, the project could have easily spanned 3 weeks. More importantly, quickly understanding individual and team pressures and challenges were the keys to the success of the new system. This could not have happened within the allocated time without a collaborative approach. A FAST UX approach resulted in tight collaboration, strong co-ownership and a shared sense of progress; all of those allowed to shorten the time of the project, but also to instill a feeling of excitement about the UX research process. While UX research becomes ever more popular, gone are the days when we could soldier on by ourselves and only consult stakeholders at the end. Mastering our craft as UX researchers means engaging others within the process and being articulate, clear, and transparent about our work. The FAST approach is a simple model that shows how to engage non-researchers with the research process. Reducing the time it takes to do research, both in the short (i.e. the study itself) and long term (i.e. using the research results), is a strategic advantage for the researcher, team, and the business as a whole. Would you like to improve your efficiency and turn stakeholders into user research advocates? Go and try it out. You can then share your stories and advice here. I would love to hear your comments, suggestion and any feedback you care to share! If you have tried it out already, do you have success stories you want to share? Be as open as you can — what worked well, and what didn’t? As with all other things UX, it’s most fun if we learn together as a team. NextGetting Started With Redux: Why Redux?